Where Should You Buy Your Digital Movies? In 2000, it was hard to imagine the music CD becoming obsolete, and even crazier, being replaced by... nothing. In 2001, Apple released their first iPod. Vinyl has outlasted the CD, perhaps in the same way that the Nintendo Entertainment System (NES) became a best-selling console over 30 years after its original release. Even digital music is seeing its replacement looming as subscription services pop up left and right. And soon, the digital world will eat our movie collection. But where should we buy our digital movies and TV shows? In 2001, Apple released the iPod and unleashed digital music unto the world. So when the launched the iTunes Music Store two years later, it was an easy decision to go with Apple. But with digital video, Apple, Amazon, Google are all competing to be our provider. Even Microsoft is belatedly getting into the mix. They all have their perks, but one unsettling fact remains true with all of these providers: you can't simply download your movie and use it on any device you want. You are locked into using that particular company's app, which may not be available on every device. Which company is the cheapest? With retail prices set by the studios, they are all about the same in terms of price. However, you can still find some movies on sale, so it's possible to shop the deals. Unfortunately, this splits your library, which means you'll need to use multiple apps and even multiple devices to view your collection. So which provider should you choose for your digital movie library? The answer to that question may be decided by what devices you use as much as which company you like the most, so we'll go over the pros and cons of each provider. 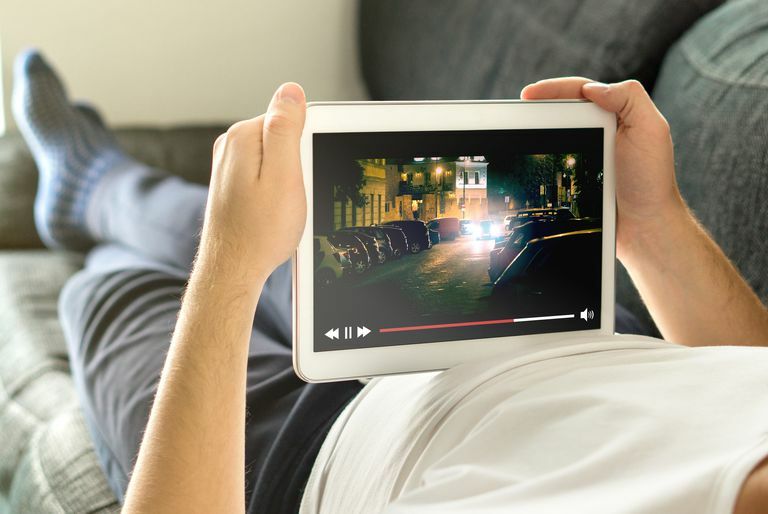 You can download movies and TV shows to both PCs and mobile devices for offline viewing. Vudu is platform neutral, so it is available on most devices. Supports both UltraViolet and Disney Everywhere. Has their own 'HDX' format that improves (slightly) on HD quality. Large selection of 4K/UHD titles. The 'free with ads' collection of movies is a nice bonus. The interface isn't quite as smooth as the competition. Not as well known as Amazon, Apple, and Google. We'll start with the one that you may not have heard about before reading this. Vudu popped up in 2007, so they've been around for a while. But who are they? One primary thing you need from your digital movie provider is trust. You don't want to buy some movies and have the company shut down in two years, and with Amazon, Google and Apple, you don't have those worries. You also don't have those worries with Vudu. In 2010, they were acquired by Wal-Mart. And while Vudu isn't a household brand, Wal-Mart certainly is. Vudu offers movies in SD, HD and their own HDX format, which is a slightly superior rendition of HD. Some movies are also available in Ultra HD (UHD). One nice benefit of Vudu is the ability to download the movie to your PC. Most video providers are now offering offline downloads for mobile, but Vudu and Apple offer the same service for desktop and laptop PCs. You still must use their respective apps, but it's a nice benefit. Vudu supports UltraViolet, which is a digital locker that gives you access to digital copies of DVD and Blu-ray titles. This is a great way to build your online collection while still buying DVDs and Blu-Ray discs. Vudu also offers some movies for free with advertisements. Compatibility? Vudu has perhaps the widest range of support for devices. You can get it on your Roku, iPhone, iPad, Android smartphone or tablet, Chromecast, XBOX, PlayStation and a number of Smart TVs. Available on a wider range of devices than Apple and Amazon. Good selection of 4K/UHD video. You can download video to your mobile device. Offers an introductory $0.99 rental. Doesn't work with your game console, so XBOX and PlayStation owners will have to stream from another device. No offline downloads for the PC. While this list isn't to be interpreted as best-to-worst, Google Play gets the second mention based mainly on the ability to stream their offerings on a wider range of devices than Amazon Instant Video or Apple's iTunes movies and television. It's easy to trust Vudu's neutrality in the war over our digital video lockbox because they don't have a device they are trying to push. Google's Android, Chrome and Chromecast platforms don't exactly make them Switzerland, but they've played nice in the war for our living rooms. Google's philosophy is more about providing the opportunity to watch on the largest range of devices rather than battling it out for platform dominance. Google Play offers some titles in UHD, but these titles aren't marked in the store, so it can be difficult to know if any particular movie is available in UHD until you go to buy it. Google Play does offer a $0.99 rental to new customers, so it is worth checking out if just to save a couple of bucks on a movie night. You can stream Google Play on your iPhone, iPad, Android, PC, Roku, many smart televisions or through Chromecast. Google Play isn't available for Apple TV (yet? ), but if you have an Apple TV, you can use AirPlay to stream your Google Play collection. One of the first to offer streaming video, movies, TV shows, and rentals and still a leader in terms of stability and performance. Works great with the iPad's and Apple TV's new TV app, which will let you browse and select movies and TV from various sources alongside your own digital collection including Hulu, HBO Now, Starz, etc. Allows offline downloads to both PC and mobile devices. Compatibility limited to Apple's ecosystem (iPhone, iPad, iPod Touch, Apple TV) and Macs and Windows-based machines. If you own an iPhone, iPad and Apple TV, it may seem like a simple decision to do your shopping in iTunes. As you can imagine, Apple's ecosystem works great together. The TV app on Apple TV and iPad brings your collection together with various subscription services like Hulu and HBO Now, which makes browsing for what to watch much easier. You can also download movies to your desktop or laptop and well as your iPhone or iPad, so you can enjoy your collection offline. What you can't do is watch anything on Android. Or Roku. Or your Smart TV. Or that Blu-Ray player with all the streaming apps. Or basically anywhere besides a PC or an Apple device. That's enough to give even Apple Watch owners some doubts on whether or not to put all those eggs in Apple's basket. Fans of UHD/4K will also be disappointed to know that Apple is late to that party. 4K streaming really hasn't caught on as much as Blu-Ray — buying digital 4K movies is twice as expensive as HD and the titles are still very limited — but if you want to build a top quality movie collection, having the option is a definite must. Apple isn't a bad choice for those who love their products. But remember, the iPhone is only 10 years old. In ten more years, we could all be using smart devices from a company that doesn't even exist yet. And will we be able to take our movie collection with us? Despite the lack of 4K offerings, Apple is top-notch in just about every other category. They offer a great streaming service, you can download your movies to any device that can actually play them, they always have some type of deal going on, and what's better, those deals are easy to find thanks to a pretty decent interface. The tie-in with Amazon Prime video makes it easy to browse through available movies and TV from both Prime and your digital lockbox. You can download to your mobile device for offline viewing. No downloads for the PC. Amazon is known for not playing nice with others. a prime target for the holder of our digital library. They also offer a selection of 4K video and allow downloads to mobile devices for offline viewing. So why aren't they a no-brainer? Amazon's biggest enemy is Amazon. It would be easy to recommend Amazon's Instant Video as one of the best digital provider's except for one crazy little thing: they refuse to sell the Apple TV. In fact, they kicked Apple TV out of the store. They also don't sell Google's Chromecast, although they happily sell other devices that use the same 'cast' technology. Here's where it gets even crazier. Amazon kicked these products out of their store because they don't work with Amazon's Prime and Instant Video services even though the only reason those devices can't show Amazon's video is because Amazon hasn't put out an app (in the case of Apple TV) or modified their app (in the case of Chromecast) to work with those devices. Oddly enough, you can still watch Amazon's Instant Video and Prime streaming subscription on Apple TV if you use AirPlay. Should this worry you enough to use another service? Perhaps. Amazon is willing to deny access to their video services in order to better compete with Apple and Google. Is Roku next? While Amazon doesn't exactly play nice with others, Amazon Prime and Amazon Instant video are available on a wide range of devices, including the iPhone and iPad. Amazon also supports Android smartphones and tablets, Roku, XBOX, PlayStation, PC, most Smart TVs and (of course) Amazon's Fire devices, which run on top of Android. And while they don't have an Apple TV app, you can stream to Apple TV via AirPlay. There are plenty of companies competing in this field that didn't make the top of the list. FandangoNow: Previously known as M-Go, Fandango Now is the closest on the list of also-rans to make it to the big list. They have the same variety of movies and TV shows you would expect from iTunes and Amazon, you can watch them on devices ranging from your Roku to your Android device to your iPhone/iPad to your PC and even your XBOX ONE, and they offer a credit system to help you earn free stuff. The acquisition and transition from M-Go to FandangoNow is rather recent, so time will tell how well they stack up against the big boys, but they are a leading contender to go toe-to-toe with Vudu if not Amazon or Apple. Microsoft: The tech leader that dominates the desktop and laptop market has been rather late to the game when it comes to streaming. But their tardiness isn't the reason they don't make the list. The lack of availability on iOS, Android, Roku, and other non-Microsoft platforms is a good enough reason to skip buying from them. Sony: Surprisingly, Sony holds one of the best cut-the-cord solutions out there in PlayStation Vue. And if we were looking for cable-over-internet, they would definitely be on the list. But while they sell digital movies and TV, they have the same platform-dependence issues as Microsoft. It's all well and good to list out the various options for your digital video lockbox, but what about those companies you should avoid at all costs? Obviously, if you've never heard of the company, you shouldn't trust them with your movie collection. We've all heard of Apple and Google and Amazon, which makes us more comfortable doing business with them. But what about your cable company? It might seem easy to purchase movies directly from your cable provider, but it really becomes just one more thing that locks you into the service. While some companies offer ways to view your purchases after you end the service, it's much better to go with a company that offers more permanence. Don't like your digital library tied to one single company? Neither does Movies Anywhere. The big difference is that Movies Anywhere can actually do something about it. And the big surprise is that they actually did. Movies Anywhere allows you to buy movies from iTunes, Amazon Instant Video, Google Play, Vudu, Microsoft or FIOS and transfer to rights to any and all of them. This includes Star Wars, Marvel, Pixar, etc.